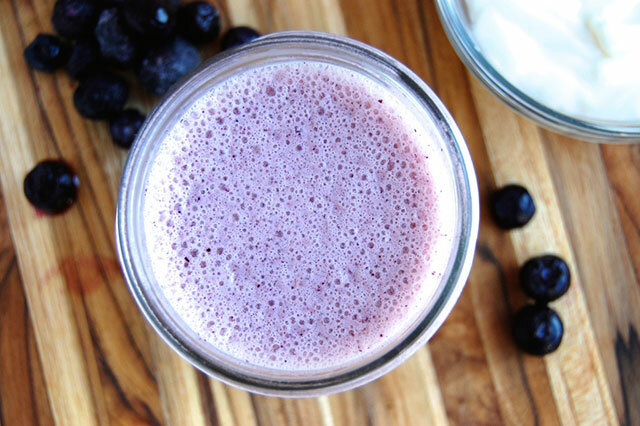 This rich and delicious greek yogurt drink could be enjoyed as breakfast in smoothie form, as a midday snack, or is indulgent enough that it would make an excellent dessert. 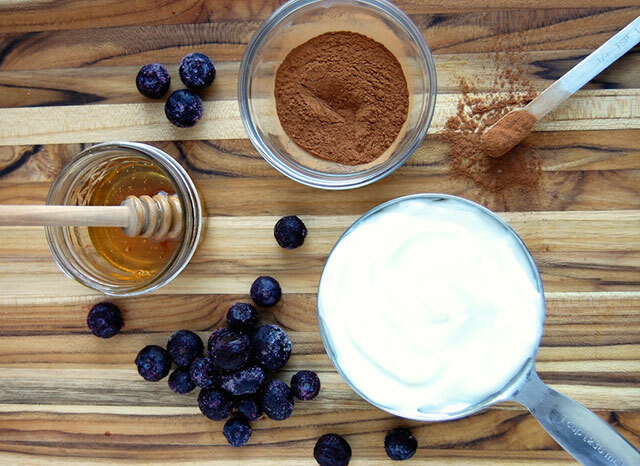 The smoothie recipe makes excellent use of tangy, protein-rich Greek yogurt by pairing it with blueberries and honey for natural sweetness. If you have not tried it before, Greek yogurt is a bit different than regular ol’ yogurt. It has a tangier flavor and is creamier in texture. Greek yogurt is yogurt that has actually been strained or filtered to remove excess liquid, and so it turns out rich and thick. This straining process also changes the properties of Greek yogurt slightly. Greek yogurt contains less lactose than regular yogurt. Lactose is the sugar in dairy products that can cause an upset stomach. So the lower lactose in Greek yogurt means that it is easier to digest and better for people with mild lactose intolerance. Greek yogurt also contains double the amount of protein as regular yogurt. Protein not only helps build muscles, but also keeps you full for longer periods of time. Greek yogurt is full of probiotic cultures. Probiotics are good bacteria that help out your stomach and improve digestion. They also boost the immune system to keep you feeling well. Before going out and buying tubs and tubs of Greek yogurt, be sure to read the nutrition labels first. There is an expansive selection of Greek yogurt available now in the market. However, similar to buying regular yogurt, not all Greek yogurt is created equally. Some yogurts have been artificially sweetened or were made with whole milk that is higher in fat. So in order to get the greatest health benefit, choose a variety that is low-fat or non-fat and does not have added sugar. 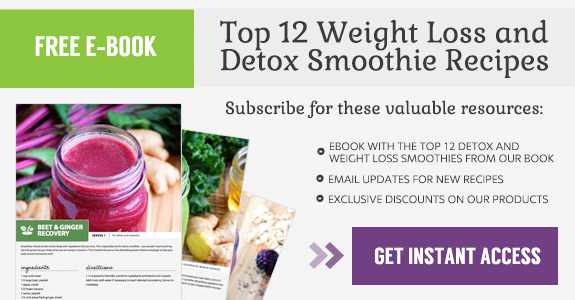 Fruit-flavored yogurts especially can contain a high amount of added refined sugar. Instead, add the fruit yourself later, like in this smoothie. 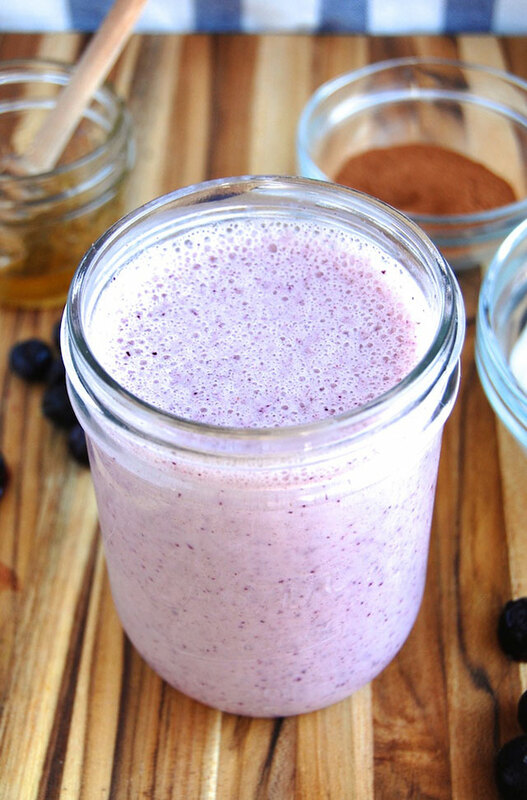 This creamy greek yogurt smoothie can help to satisfy any sweet tooth. Blueberries add a fruity component to compliment the tart yogurt, but any sweet fruit will do – strawberries or pears would also work well for example. It’s great for any time of day. 1. In a large cup (if using an immersion blender) or a blender, combine ingredients and blend until smooth. Add more cold water if necessary to reach desired consistency. Serve immediately.